These patties are shipped frozen and are Cry-o-Vac sealed. 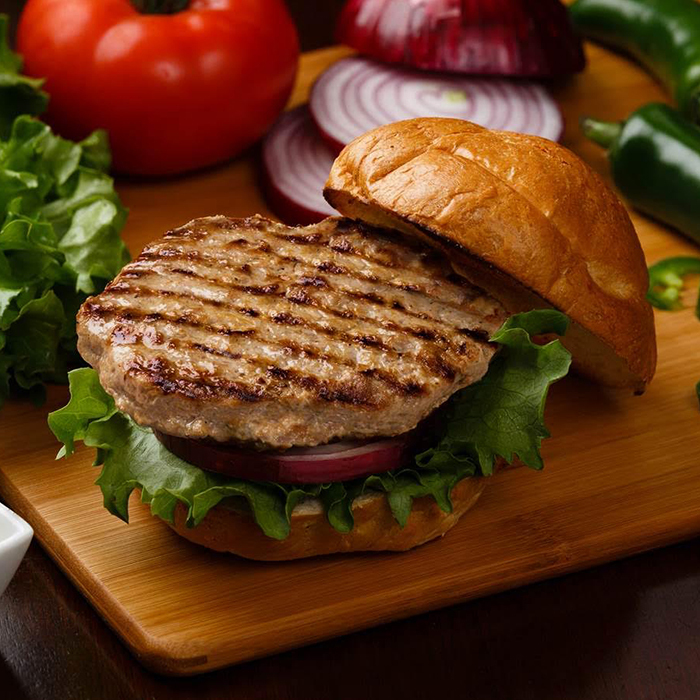 The Compart Duroc Pork Patty has been created through a special process that utilizes a unique blend of Compart Duroc “All Natural” pork, processed in a home style patty that is light and extremely juicy. After tasting these mouthwatering patties you will skip the Black Angus burgers and head straight for the good stuff! The combination of superior Compart Duroc mouthwatering flavor and the art of great cutting, is the new secret ingredient in your old family recipe! 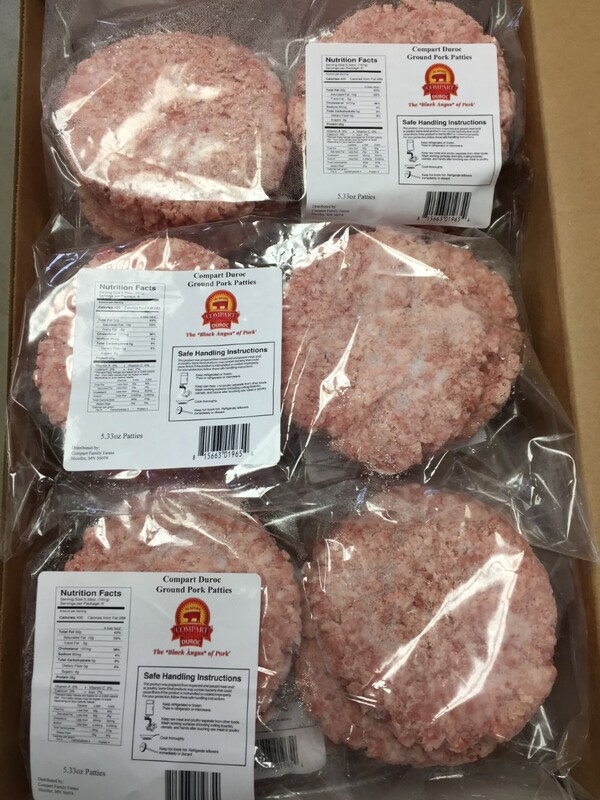 12 pound package of 36 – 1/3 pound patties. Frozen.